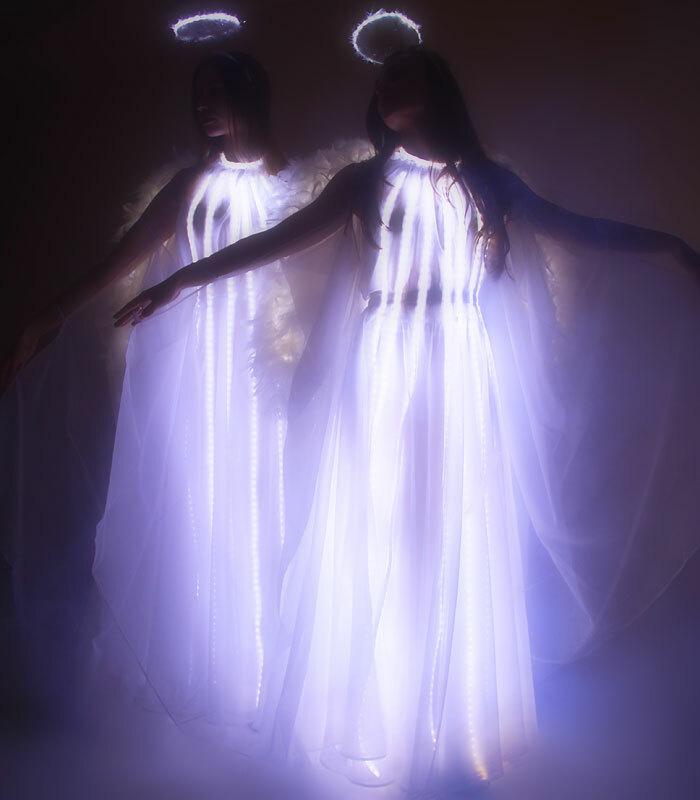 Discover also our stirkling performance from the LED Dancer. 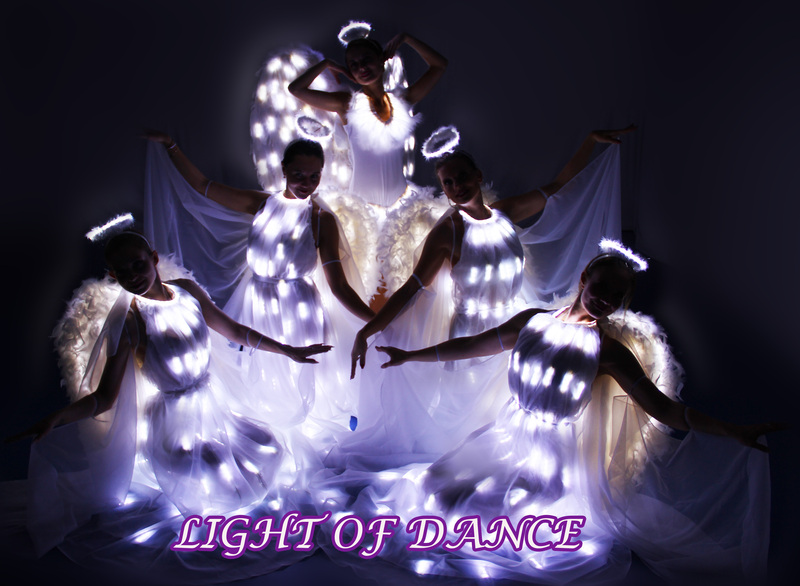 With our professional work and our beautifull costumes with the LED-Lights provide the LED Show ballet ´´ Light of Dance“ regularly to Wow- effects that you can not forget about it. 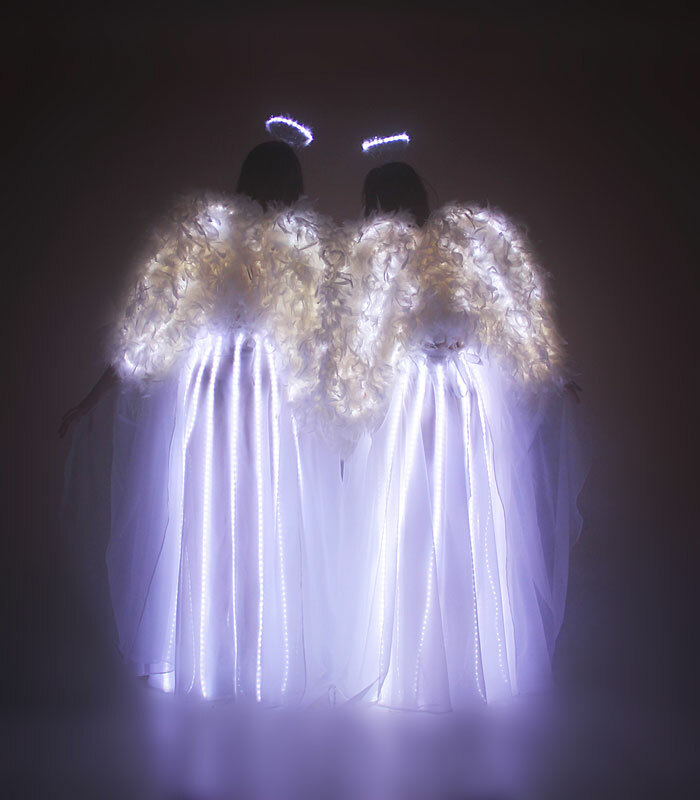 If you choose for one of our performance from the LED Roboters, or our spirited LED Sambashow, or our Fan dance or maybe our most tender from LED Angels. 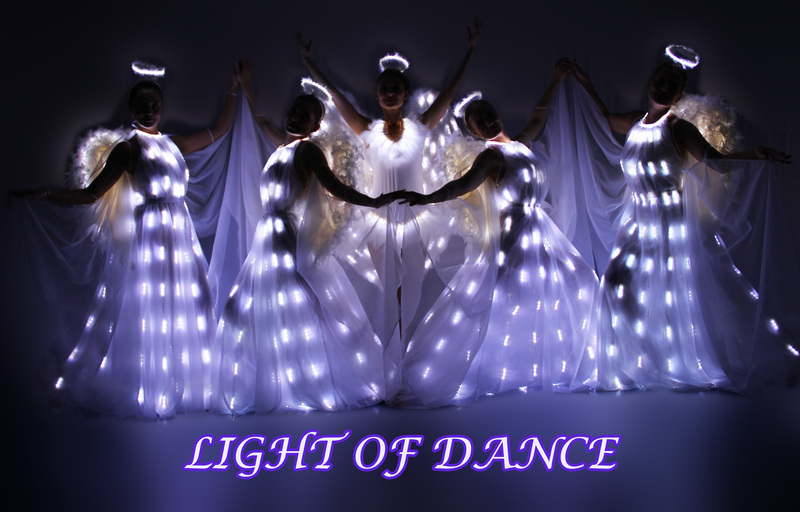 Just like from heaven, the dancers from Light of Dance are performing with romantic and gentle style. All performance from LED Show Ballets Light of Dance are breathtaking combination. If your guests are thrilled from our performance, then we are there for you. Dont waste any time and contact us right away. We will be happy to hear from you ! !